I'm a newbie around here, so I thought I would show you guys my only glove with any value. 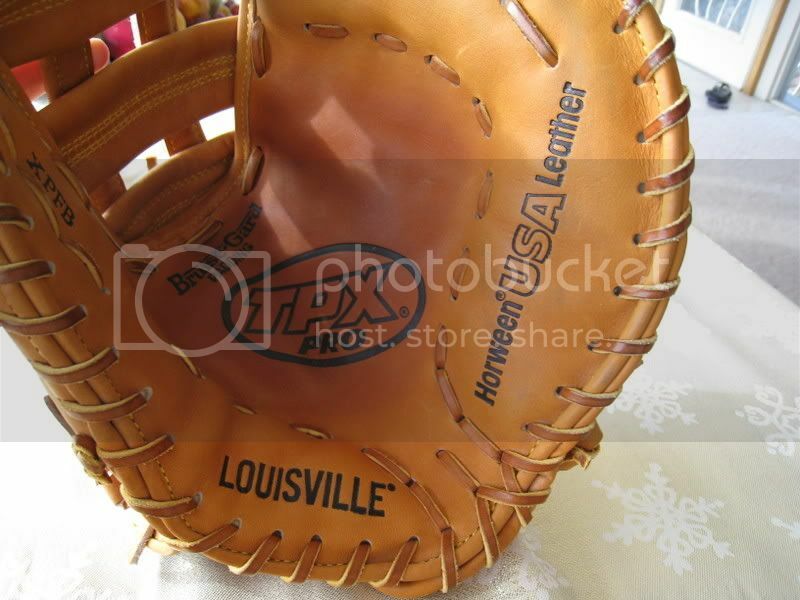 It is a Jeff Bagwell 1999-2001 era game-ready pocket-oiled Louisville TPX Model first-baseman's mitt - his backup gamer. I intend on acquiring some more leather, hopefully a black Bagwell glove, but I could never match some of the collections I see on this board. 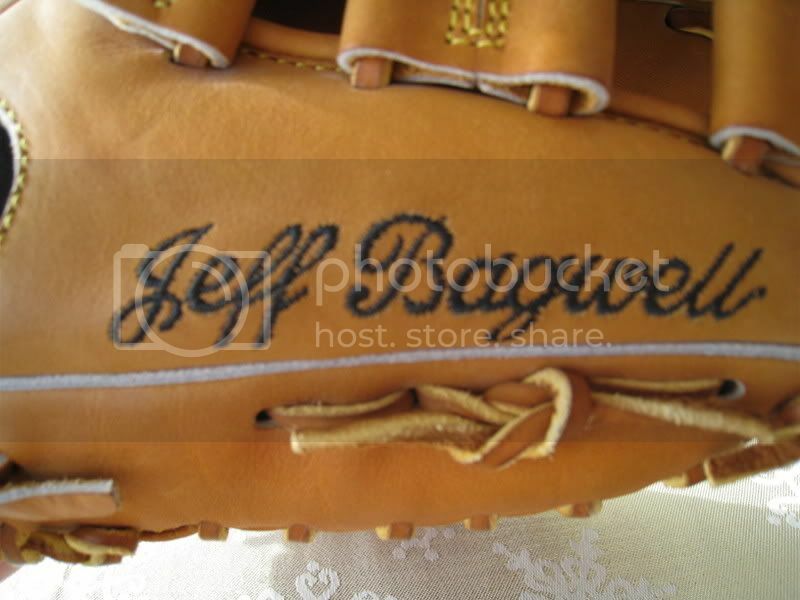 Anyway, here are the pictures of the Jeff Bagwell glove I just got. 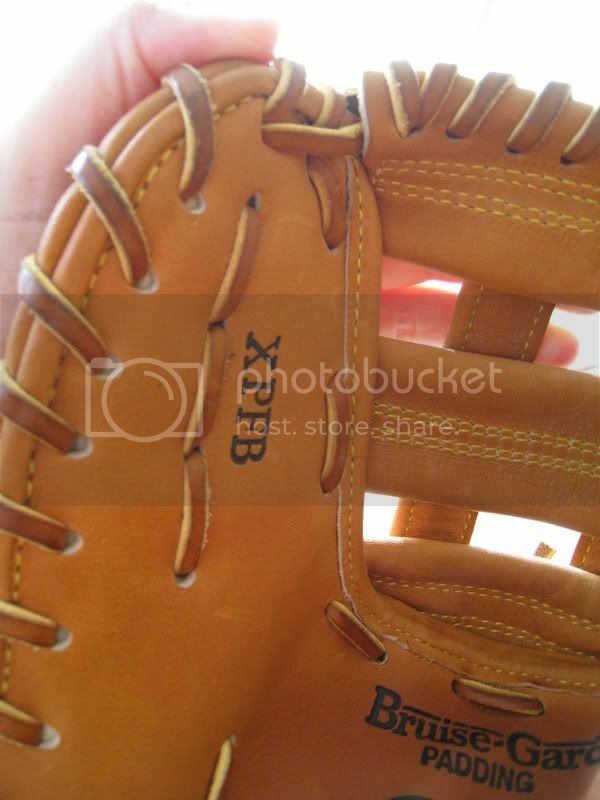 I would love to read your thoughts, and please let me know what kind of things I can learn about this glove from the photos alone. Look forward to reading your responses! The velcro is the only thing that doesn't work for me. Other than that I would keep it and not use it. It is quite a looker for sure. Where did you get that glove? Very Nice piece of leather. I have been looking for a bagwell glove for years. I really wanted one of his early Rawlings models. 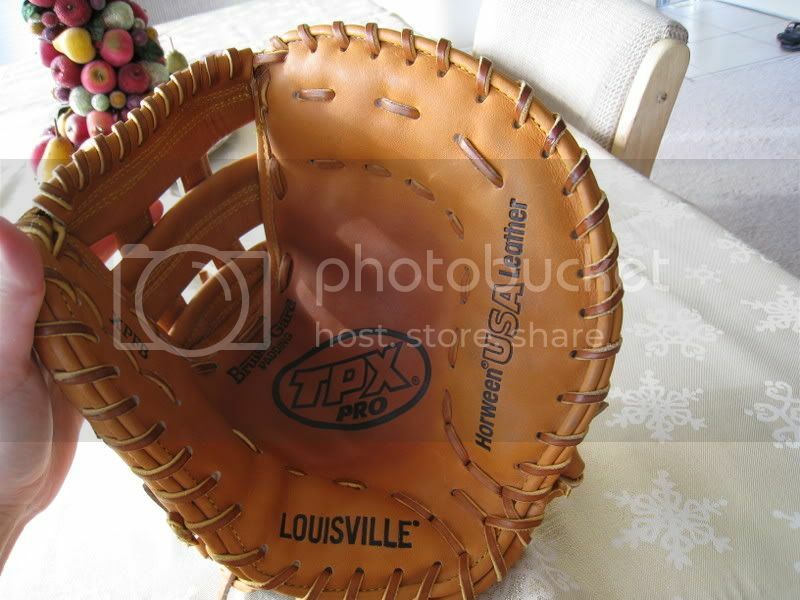 Very nice find, and I do believe that Bagwell actually had velcro on his TPX glove. Just curious, what is such a turn-off with velcro? yankees23 wrote: Where did you get that glove? Very Nice piece of leather. 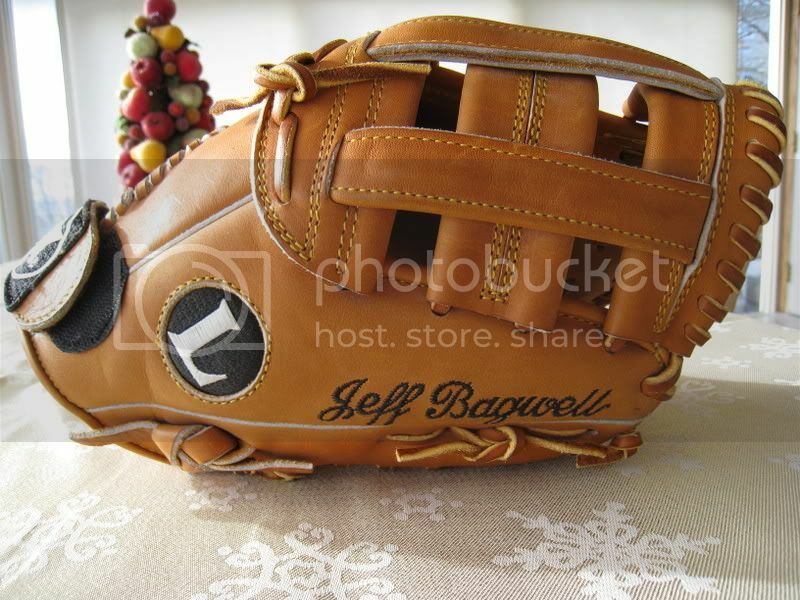 I have been looking for a bagwell glove for years. I really wanted one of his early Rawlings models. Very nice find, and I do believe that Bagwell actually had velcro on his TPX glove. 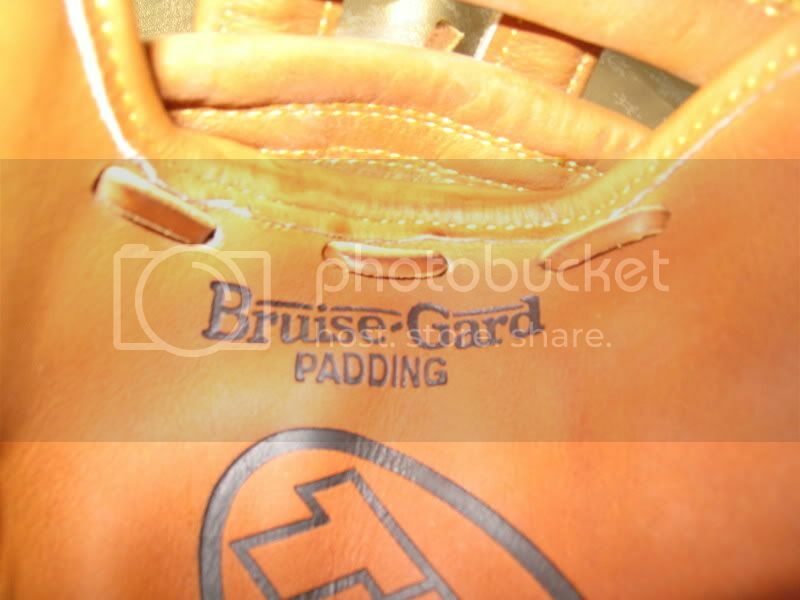 Yeah, from looking at Getty Images, Bags had velcro on his TPX gloves. As for where I got it from, a guy was recommended to me by some Astros collectors who knows someone from the Astros. This was his Astros guy's last glove, so I can't help out with finding another one. Plus, I hear Bagwell keeps all his actually game-used gloves, so a game-issued or backup glove is really the best you can hope for. I would like a black glove as well, but I doubt I'll find one. It's very difficult to come by Bagwell's stuff since he has retired. 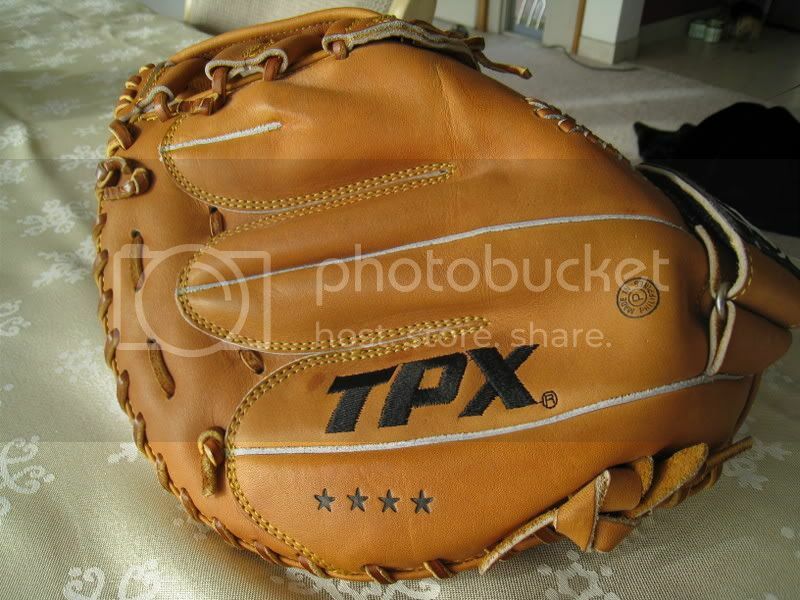 This glove is beautiful, but why did Bags like the Velcro? I just imagine all the dirt getting caught in there on a rainy day. Then the edges fraying after a season of use. Then, it just doesn't mix well with all the leather. Maybe its the plastic...yeah the plastic! Anyway, my opinion. Otherwise the leather on this thing is a beauty! opticsp wrote: I'm with you. Sorry, but I don't quite see your point with the plastic. What part of the velcro is plastic? It always seemed to me that velcro is made of plastic. Anyway, it was joke. opticsp wrote: It always seemed to me that velcro is made of plastic. Anyway, it was joke. Okay, sorry I didn't get the joke.